Whether your relationship is in crisis, suffocating from conflict or resentment, or just needing a rejuvenated connection… I can help you heal the deeper pain and underlying needs. Together we will create a path to feeling happier and more fulfilled in your relationship. I’m laid back and like to find the humor in life, but I also know when it’s time to get down to business. Most couples who are struggling tend to feel exhausted, confused, and hopeless from failed attempts to fix it. I believe therapy should feel hopeful and I want my clients to feel a sense of security and confidence when working with me. I have the strength to get your relationship back on track and the experience to teach you how to keep it there. Jason Nicol has an unusual ability to diffuse heated arguments and help couples make progress in emotionally-charged conversations. He’ll give you to courage to dig in and resolve issues you might have avoided in the past. You’ll trust the safety net that Jason provides. His confidence, ability to see the best in you, and sense of humor will help you feel at ease. His clients describe him as “rock-solid” and “unshakable.” I know him as fun-loving and super-committed to leading partners to better places in their relationships. 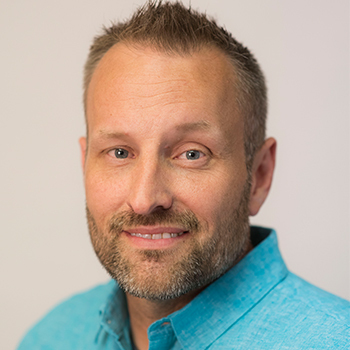 Jason received a Master’s degree in Marriage and Family Therapy from Northern Illinois University’s Accredited Graduate Program in Marriage and Family Therapy. He’s Licensed as a Marriage and Family Therapist by the Illinois Division of Professional Regulation. Jason previously ran a nonprofit counseling agency that specialized in working with adolescents and their families. Interested in working with a husband/wife therapy team? Jason and Ahna Nicol offer their unique team approach to repairing relationships. This team approach has helped many couples heal past hurts, diminish ongoing conflict, and restore connection. The service is offered in intensive format that can be customized to fit your specific needs. For more information, contact Jason or Ahna directly.